With all the doom and gloom of the falling home prices and the economy, things are starting to look up in the month of November for Florida homeowners who have to short sale their property. 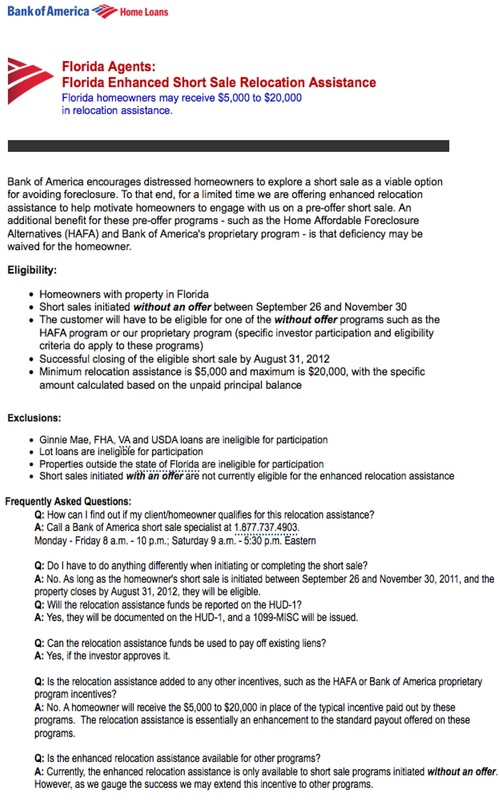 Bank of America has created an incentive for Florida home-owners/customers who initiate a short sale of their home by November 30th, 2011. The following letter was sent to many Florida home-owners that hold their note with Bank of America. To see if you qualify, contact your lender and get your short sale started before November 30th deadline with a local short sale expert/REALTOR in your area. Don’t live in Southwest Florida and need help? I will help you get in touch with a short sale expert in your area. Coldwell Banker Morris Realty, Inc.